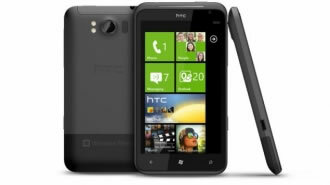 The wait is almost over for Windows Phone 7 users. Microsoft has announced that version 7.5 of its mobile operating system, aka Mango, will begin rolling out in the next week or two. The software has reportedly been 'painstakingly tuned' for every device from every manufacturer so that the update and all the new features work as planned once it's pushed to the masses. Microsoft did not pin an exact date as to when users can expect to have Mango on their phones, though if the NoDo update serves any indication, the rollout will span several weeks rather than being available on every phone and carrier at once. The company says they'll refresh the 'Where’s My Phone Update?' page to reflect the worldwide rollout status. Keep in mind that Windows Phone 7.5 won't be pushed to your phone over-the-air, so be sure to download the latest version of Windows Phone 7 Connector for Mac or the Zune software for PCs, which you’ll need to install the update. Since each phone requires the proper firmware to function as designed, Microsoft also took the opportunity to warn users against installing unofficial or leaked copies of Windows Phone software. Mango is the Windows Phone platform's first major overhaul since the mobile operating system launched in December 2010 and it comes with hundreds of new features, including an HTML5-compliant IE 9 Mobile browser, third-party application multitasking, Twitter integration, new Bing search capabilities, and more.